 Beginning December 3, high school seniors throughout Clark, Floyd and surrounding counties can apply to receive generous, well-earned scholarships through the Community Foundation of Southern Indiana. For people interested in establishing a new scholarship fund, the Community Foundation is currently offering a match. For every $2 contributed to establish a new endowment fund the Community Foundation will provide a $1 match – increasing the impact a donor’s gift will have on the community and the scholars who receive awards.